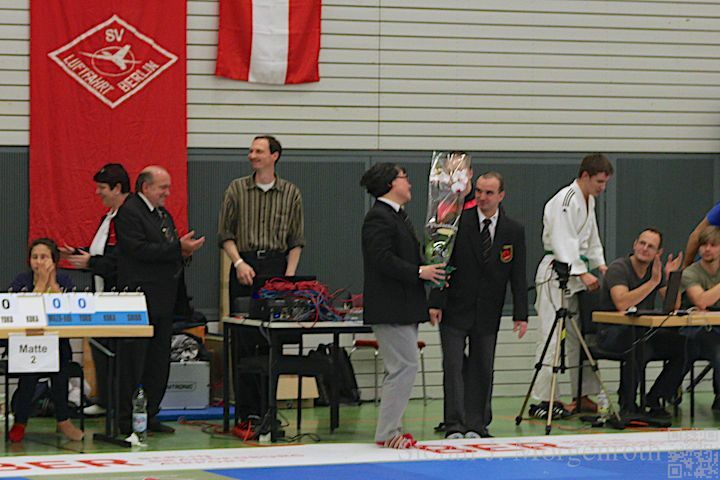 As every year, on 24.11.2012 was held the tournament SV Luftfahrt Master in Berlin. 63 clubs and 202 judoka increased the competitive atmosphere of the previous year, bringing the hall to a boil. 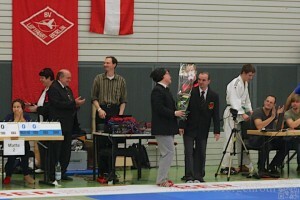 New this year’s event took place in the Dojo Merlitzhalle. Through the grandstand in upper tier it was possible to have fantastic view about all competition areas and thus offered the visitors to have more fun. The most teams came from Berlin (Germany) and Brandenburg (Germany) and 11 further judo federations of Germany. Like the last year powerful teams from Poland, Austria and Great Britain took part in. In comparison to the last year the level of powerfulness could enormously grown up in the class of over 30 and over 40. 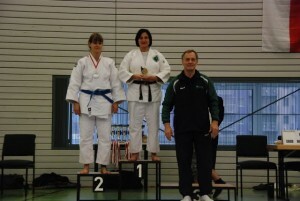 We are especially proud of the German Olympic participants Susann Stollberg (SV Gallneukirchen) of 1996 and the British Stan Cantrill (Olympic Games 1972) from Leominster Judo Club which took part in the Luftfahrt Masters. Stan Cantrill (Photo, left) was torch bearer in this year’s Olympic Games in London and is currently the British Master 2012. With his 67 he was the oldest participant at SV Luftfahrt Masters. 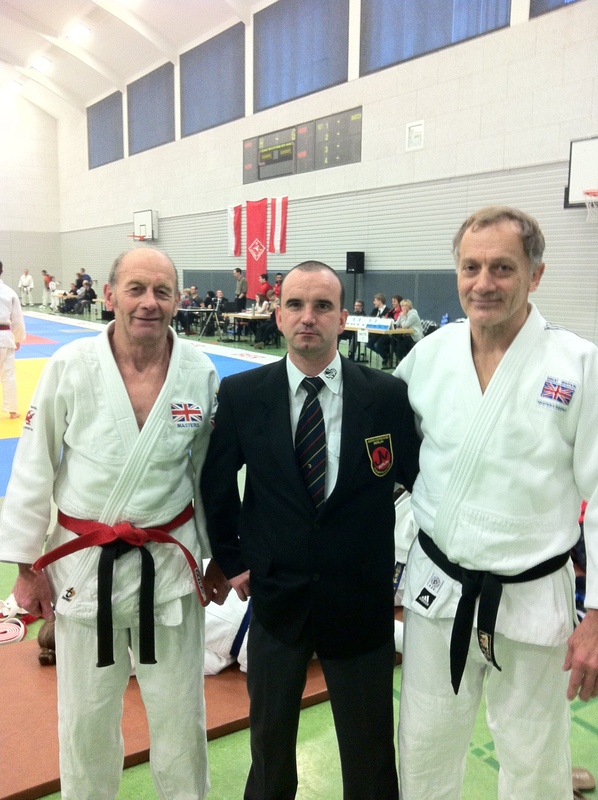 Also present were his compatriots James Birnie (Oxford University Club) and Terry Watt (Photo, right), who has been active since over 50 years in judo and has won the World Cup over 30 in Miami this year. 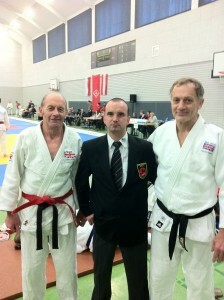 Terry Watts (7th Dan) is also active in the Judo World Federation IJF and responsible for the international rules in the Grand Masters Commission. On the photo can be seen Jan Kretzschmar (chairman of SV Luftfahrt Berlin e.V. and Country-Judge A) with Stan Cantrill and Terry Watts. Susann Stollberg, the third for the European Championship 1990 and winner of the European Championship Veterans Tournament 2011 in Leibnitz, won the open age category of women up to 78kg third time in a row on Luftfahrt Master. 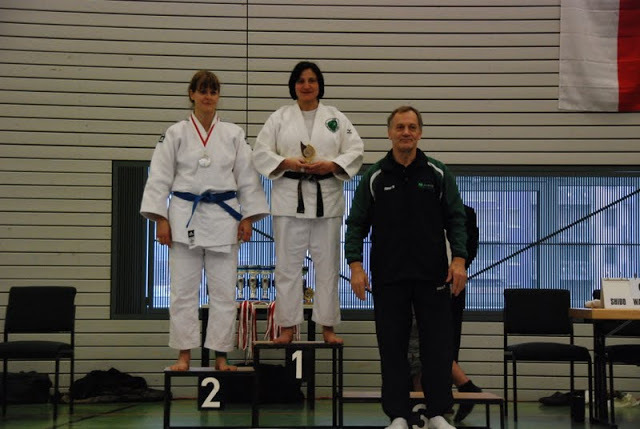 As part of this tournament Mira Thielmann, a judge of the Judo Federation Berlin, was passed. After more than 10 years of valuable work, the Country-Judge A from BC Samurai Berlin e.V. finished her career as a judge on the Luftfahrt Masters 2012. Mira Thielmann supported as a judge the SV Luftfahrt Berlin e.V. at International Luftfahrt Masters and the New-Years-Tournament for many years. For this she was from our first Honored chairman and longtime referee colleagues Jan Kretzschmar honorably. For this she was honorably honored from our chairman and longtime judge colleague Jan Kretzschmar. We wish her all the best for the future and hope that she will remain loyal Judo. The most starter were reported by the JV Gwardia Koszalin from Poland. With 19 boys and girls in the age category under 17 they won the third rank in the club valuation of the boys and the second rank in the club valuation of girls, additional the third rank in the open age category. So they were from rank 1 to 3 in the club valuation most represented. For the SV Luftfahrt Berlin e.V. Toni Moser, Niklas Fink, Leon Fink, Alexander Scholz and Harshdeep Singh won the club valuation of boys of the age category under 17. The TV Eiche Horn Bremen v. 1899 e.V. started with the most female Judoka (5 fighters) and drove home with the team trophy in the age category under 17. 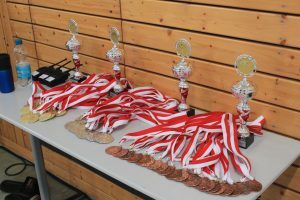 The high attendance and excellent participants in the age categories over 30, over 40 and over 50 showed the popularity of the International Judo Tournament of SV Luftfahrt Berlin e.V. Due to the good organization of the event the process can be ensured smooth and efficient. We look forward to the next International Aviation master on 23.11.2013 and expect again top-class participants in the upper age groups. Special thanks to Stefan J. Morgenroth of the Turnerbund Hamburg–Eilbeck e.V. for the provided photos and all other helpers, who have supported us for the successful execution of the tournament.